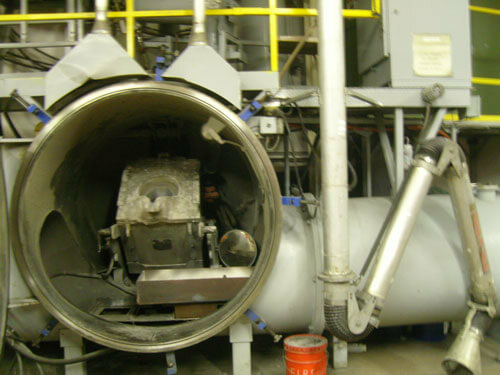 Two PVT vacuum induction melting furnaces, each with 1,000 lb. capacity can attain 40 microns pressure for producing rare earth alloys. Vacuum melting operations begin with loading rare earths and metals into the furnace. Oxygen is removed and the mixture is melted. The molten alloy is poured into a mold. A third vacuum induction furnace, AVS VIM (500 lb. capacity), provides added capacity suitable for smaller melts. Combined, the three furnaces offer redundancy and backup.